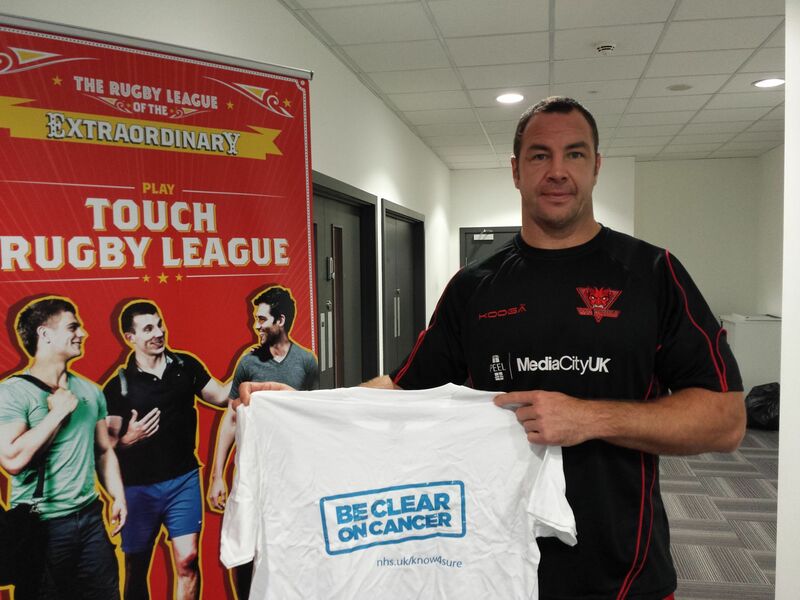 With the build up to the 2014 Super League Season well under way at Salford Red Devils we managed to pry Adrian Morley away from training to talk with us about our Tackle health Programmes and show his support to our Tackle Cancer Programme. 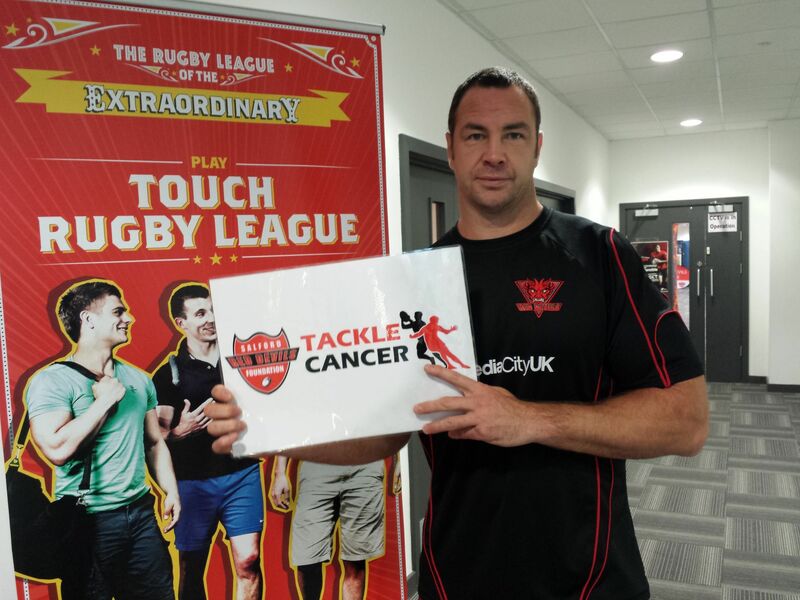 The Tackle Cancer programme is an initiative in which Salford Red Devils Foundation look to use community facilities and awareness game days to talk to local male residents and Red Devils Fans to better inform them of the signs and symptoms of various cancers as well as the correct course of action should they experience any. If you notice any signs and symptoms of cancer you should go straight to your GP. A big Foundation success is the use of the game day experience to raise awareness of the Tackle Cancer initiative throughout the season. While Pre match and post events and PR plans are utilised to raise awareness, further successes came in pre match questionnaires to fans, as well as the first team warming up in ‘Be Clear on Cancer’ t-shirts as seen held by Adrian below. Over the past 12 months Salford Red Devils Foundation has spoken with 400 over 50 males about the signs and symptoms of cancer.